Is Your Favorite Book to Movie a Nominee? The Golden Globes nominations came out today. While there are not quite as many screen adaptations serving as inspiration as last year - Remember Moneyball, The Help, The Descendants, Tinker Tailor Soldier Spy, My Week with Marilyn, War Horse, The Girl with the Dragon Tattoo ? 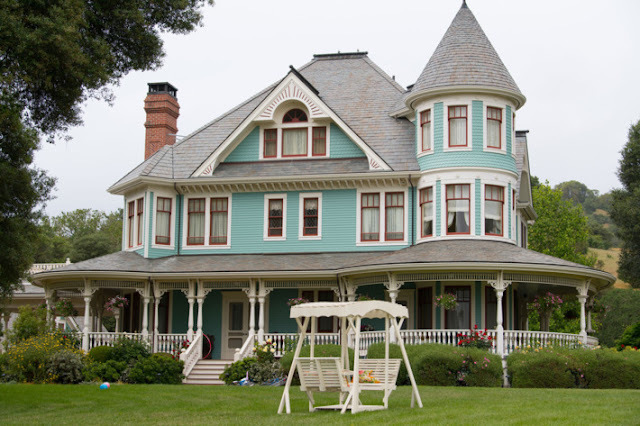 - the quality of the films is pretty astounding. First off , CONGRATS TO ALL THE GOLDEN GLOBE NOMINEES FOR BEST PICTURE, and especially the nominees based on some of our favorite books. Lincoln, Life of Pi, Django Unchained, Argo and Zero Dark Thirty. You can link to the entire Golden Globes list but I'll highlight the book to movie news here. LINCOLN, Les Miserables, Life of Pi, Silver Linings Playbook, Anna Karenina, Salmon Fishing in the Yemen, and The Paperboy. 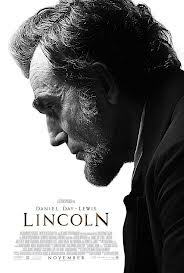 LINCOLN based on Doris Kearns Goodwin's Team of Rivals is on top with 7 nominations. Good to see this depth of appreciation for such a deliberate, intelligent and thoughtful film! LINCOLN is nominated for Best Picture Drama with Daniel Day-Lewis getting a pretty predictable nomination for Best Actor. Sally Fields has a Best Supporting Actress nomination for her role as Mary Todd Lincoln, the fantastic Mr. Tommy Lee Jones Best Supporting for his brilliant and powerful turn as Thaddeus Stevens. Steven Spielberg was nominated as Best Director, with Tony Kushner given the nod for his screenplay based on Kearns-Goodwin's book (as I understand it, the film is actually based on a few pages in a chapter but don't quote me) as well as John Williams for his score. My favorite film of the year, Les Miserables, net a few noms too, including Best Picture in the Comedy or Musical category. I was thrilled to see Anne Hathaway rightfully nominated in the Best Supporting Actress category for her astonishing performance, as well as Hugh Jackman for Best Actor as Valjean, but the foreign press people left director Tom Hooper out. Sigh. As the mother of a future director, I'm astonished and disappointed in how often the director, the captain of the ship, is ignored, as if the film came into being all by its lonesome. It all begins with the script but it's the director who turns that script into what you see on the screen. Okay, that's my mini rant of the day. Like Day-Lewis, Hugh Jackman's Best Actor nomination for Valjean was expected; but since the GG's break up drama from comedy or musical, Jackman won't have to compete for this one with Day Lewis. Instead, he'll be up against Bradley Cooper, in the Silver Linings Playbook. The hottie is developing a lot more than just great looking pecs! Jackman will also be up against Ewan McGregor in Salmon Fishing in the Yemen based on the book by Paul Torday, and rounding out the category, Jack Black for Bernie and Bill Murray for Hyde Park on Hudson. Les Miserables doesn't have an 'original' score to consider but it does have a new song "Suddenly" which has been put in the Best Original Song category. It's a fine song, especially for what it does in the context of the film BUT Adele's SKYFALL is also in contention. That's the song to beat. Along with all my Les Miz faves, I can't quite get the Skyfall song out of my head. One of the biggest contenders for the GG's as well as the Oscars is The Silver Linings Playbook based on Matthew Quick's book. In addition to Bradley Cooper's nominated performance, people I know have been buzzing about Jennifer Lawrence as Cooper's co-star so I'm not surprised she was nominated for Best Performance by an Actress. Director David O. Russell was also nominated for his screenplay. The GG's don't differentiate between an original screenplay and adapted material so Russell's script will be judged against Kushner's LINCOLN, Tarentino's Django Unchained, Zero Dark Thirty and Argo. 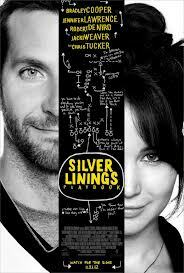 I'm finally seeing Silver Linings Playbook this afternoon!!! 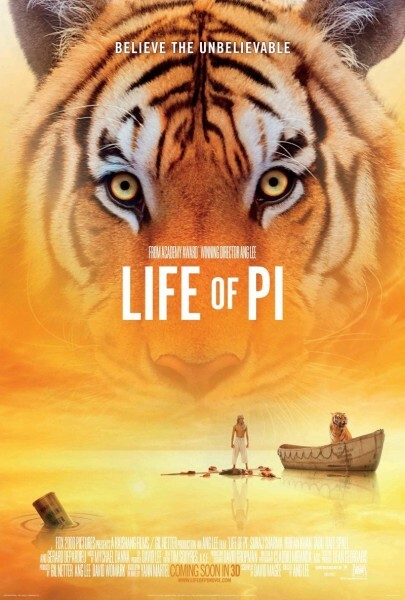 Life of Pi based on Yann Martel's highly acclaimed book is also in the Best Picture category as is its director, Ang Lee. Composer Mycheal Danna scored in the Best Original Score category as well. This is most definitely the BIG SCREEN movie of the year. Do not, do not, do not wait for it on DVD! 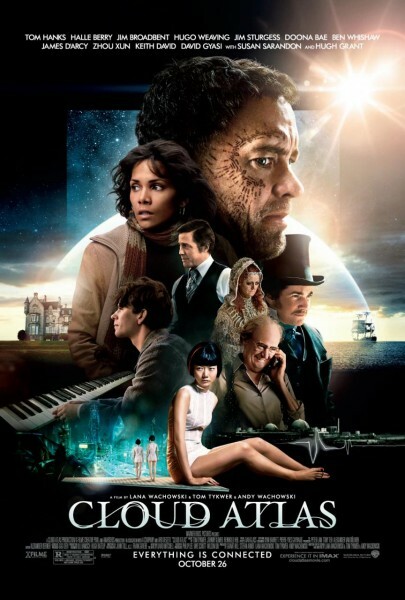 Cloud Atlas just mystified a lot of people and I'm sure its confused reception was deeply disappointing to its creators. No surprise then, that the only nomination is in the Best Original Score category for writer/director Tom Tykwer with Johnny Klimek and Reinhold Heil but nothing for the writer/director Wachowski siblings. Thinking about the years of work that went into Cloud Atlas as well as all the vision and sweat Joe Wright put into the fatally flawed - but beautiful - Anna Karenina, breaks my heart! 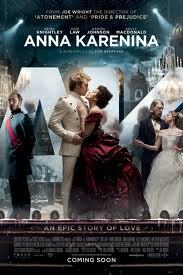 Original score is the only category where Anna Karenina is in the running too. Dario Marinelli's score is stunning and deserves the recognition. I would have thought The Best Exotic Marigold Hotel was released too far back in the year to be remembered but wonderful Judi Dench is one of the Best Actress nominees and the movie is in competition for Best Picture Comedy or Musical category! I adore Judi Dench and I adored her in this one but I'm honestly not sure it merits a Best Performance by an Actress nomination. 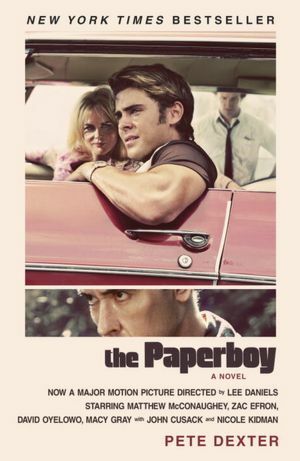 Nicole Kidman earned a Best Performance by an Actress nom for The Paperboy, the Lee Daniel's movie based on Pete Dexter's book. I don't know a single person who has seen it. I do know that it's rife with controversy, that Kidman steams up the screen. 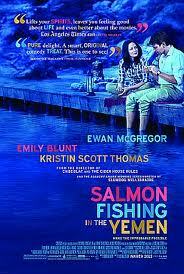 Emily Blunt also received a Best Performance by an Actress for her work in Salmon Fishing in the Yemen. 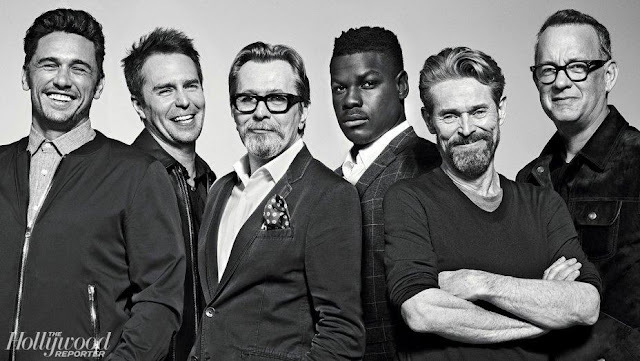 The movie based on Paul Torday's book is also nominated for Best Picture in the comedy/musical category. Meryl Streep for Hope Floats is just nominated out of force of habit when it comes to the legendary Meryl Streep- Hope Floats is one of the few mediocre films Ms. Streep has ever been in; and she really didn't rise above the film's very average level. Soooo ... check out the list and see what you think. I'd love to know.